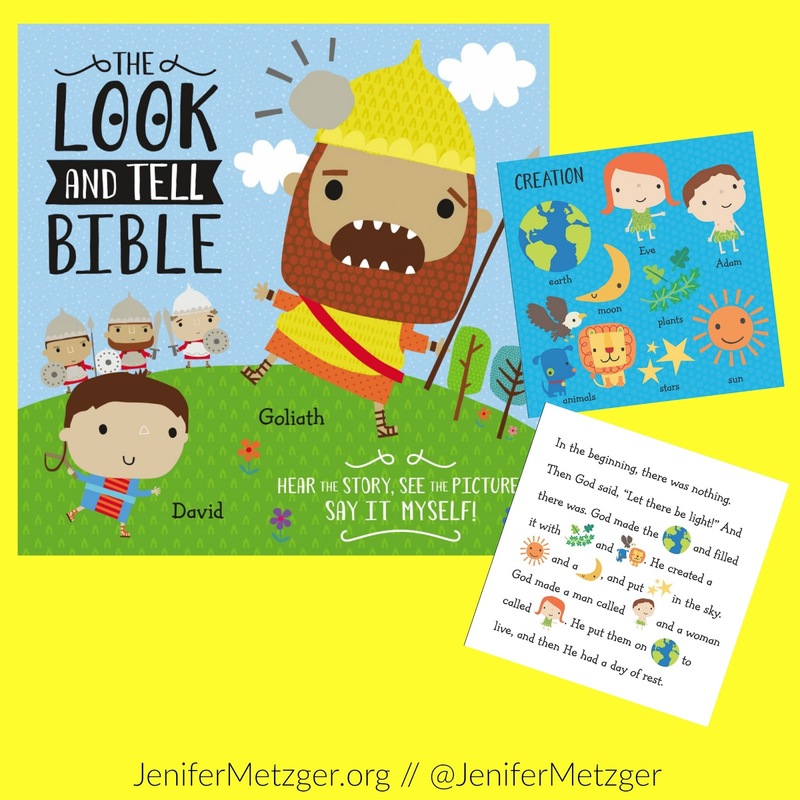 Are you looking for a fun way to engage your little one with the Bible? The brand new Look and Tell Bible is exactly what you need! This adorable book gives pictures in the words that helps your toddler and preschooler see and learn the Bible. You will enjoy teaching your littles the stories of Adam and Eve, Noah's Ark, Joseph, Moses, David and Goliath, Daniel and the Lions' Den, the Nativity, feeding of the 5,000, the Good Samaritan and the Easter Story. To enter to win the Look and Tell Bible, complete each task in the rafflecopter below. I engage kids with the story by acting it out, or incorporating an art project that will help them remember what we read.